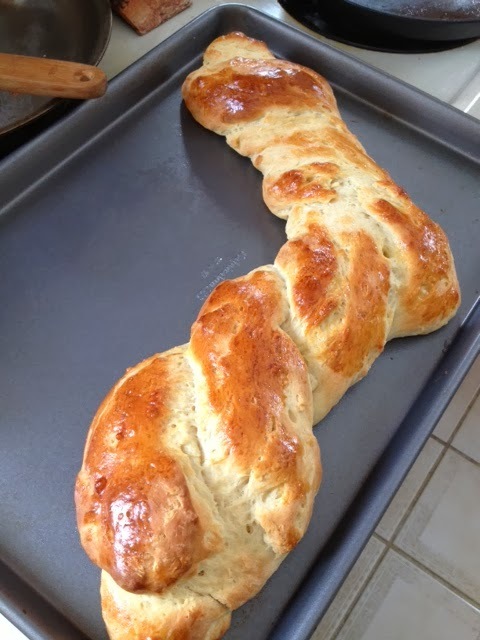 Finally I am able to bring you the recipe for the second bread I made last weekend. 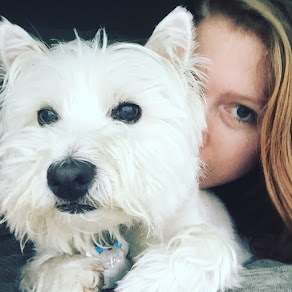 It's been a crazy week of catch up (well, I'm trying, but it's not really happening because two sick days doesn't allow you to catch up) and I'm sorry it's taken so long for me to post this. The good news, there's no kneading involved in this bread! Personally, I think this is the easiest bread to make, so you have no excuse not to try it. It tastes like Easter Bread or Challah, but is more dense. Let's begin, shall we? 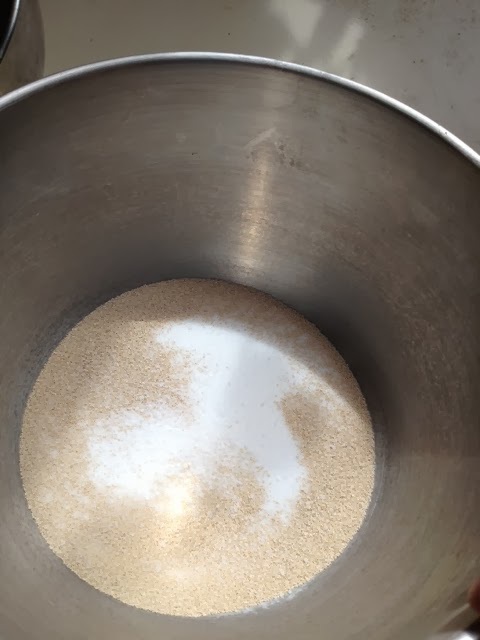 In a large bowl combine 1 cup of flour, sugar, salt, yeast and stir well. Meanwhile, in a microwave safe dish (I used a glass measuring cup) heat the milk and butter in 30 second intervals until butter is melted. After about a minute it should be melted but if not, stir and the hot milk will melt the butter. 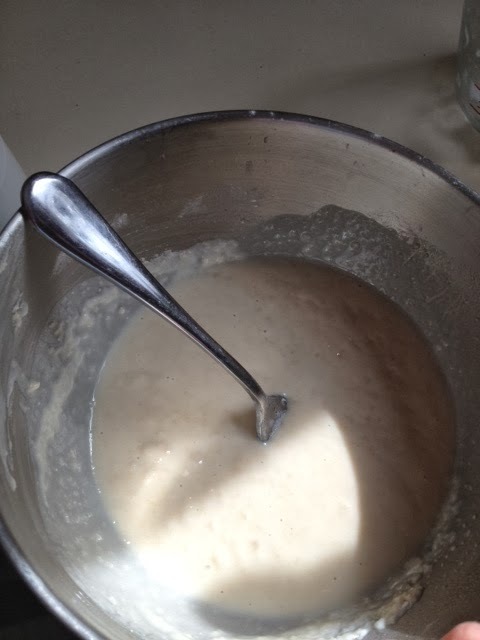 Gradually add the milk/butter to the flour mixture, stirring constantly. Add the eggs and 1/2 cup flour. 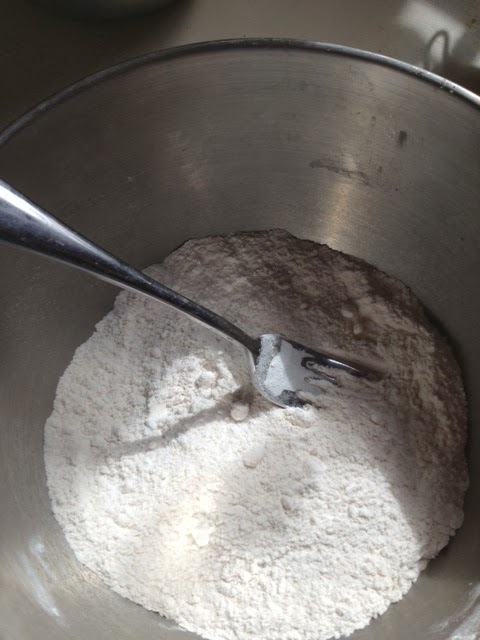 Add the remaining flour a half cup at a time until combined. 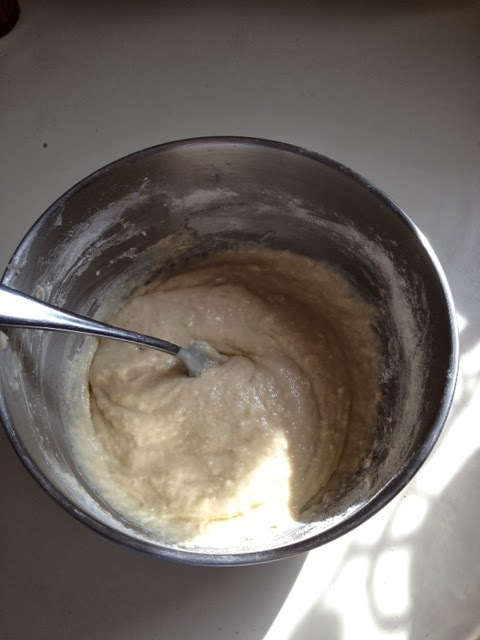 Grease another large bowl (I used a tablespoon of veg oil) and place dough in bowl. Move it around until dough is completely covered by the oil. Then cover with a damp cloth or plastic wrap and set in a warm, dry place. Let dough rise for one hour. 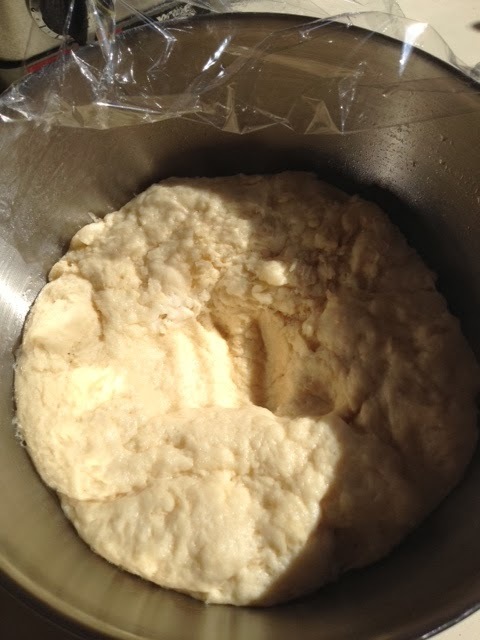 Punch down dough (as demonstrated in the picture below, right). 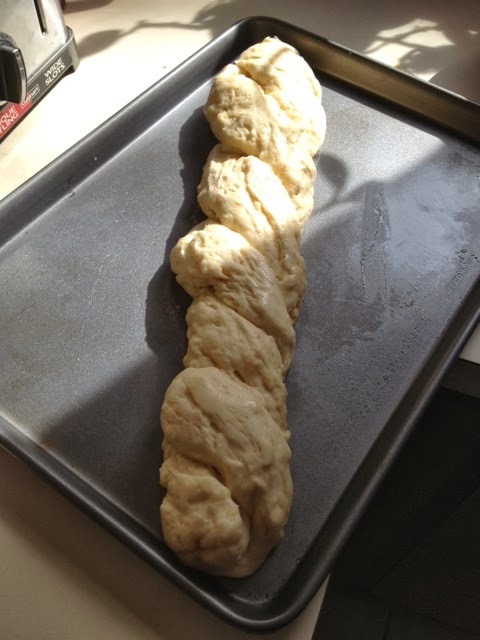 Separate dough into two pieces. 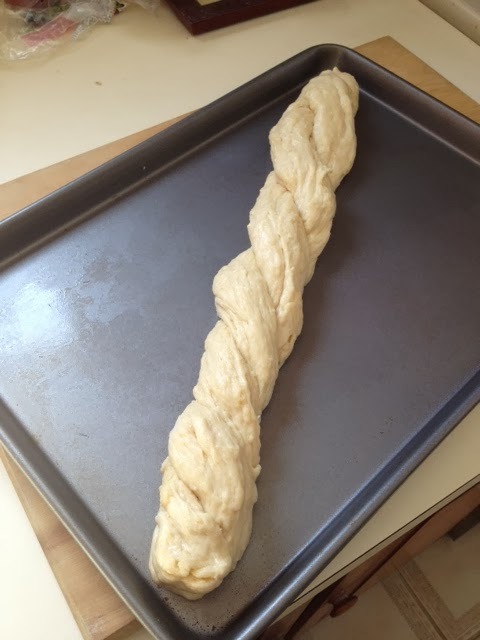 Roll into long strips and twist. Let sit covered for forty-five minutes. 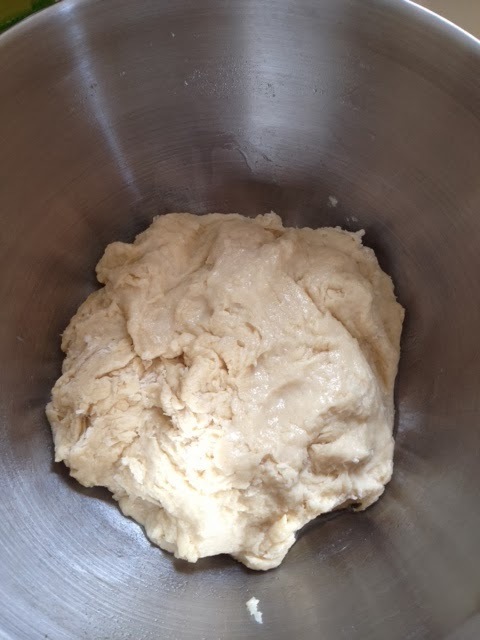 I forgot how much the dough would rise again and ended up having to move the dough after it had risen which semi broke the surface of the dough, so make sure you have the dough in a shape (maybe a wreath?) that will not overtake the size of the tray. Take beaten egg and brush over the surface of the dough. Bake at 350 for 30 minutes or until golden. This bread is perfect served warm with butter.